Every year, natural disasters, war and civil unrest displace millions of people around the world from their homes. Families left homeless by disasters and refugees returning to their homelands face uncertain futures, often confronting dire housing needs as they struggle to rebuild their lives. 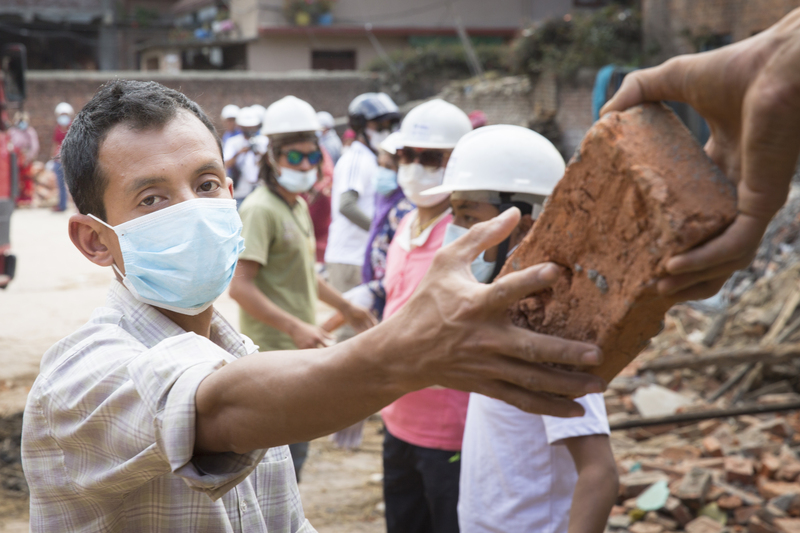 Through Habitat’s Disaster Response, and with the help of volunteers and donors like you, we are able to provide shelter assistance, education, training and partnerships to the affected individuals who find themselves in unthinkable situations. When a disaster strikes, the loss of a home can leave you at your most vulnerable. 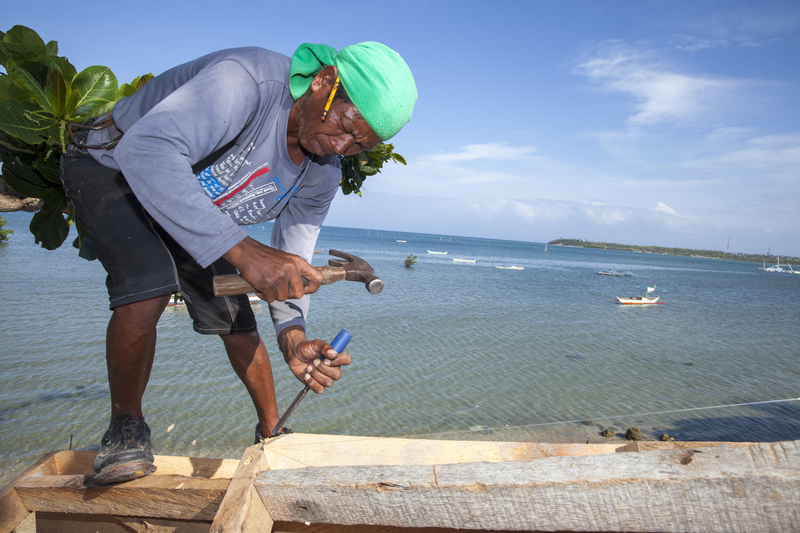 Habitat works to rebuild communities in these circumstances, moving them from ruin to recovery. Through Habitat’s Disaster Response, and with the help of volunteers and donors like you, we are able to provide shelter assistance, education, training and partnerships to the affected individuals who find themselves in unthinkable situations. 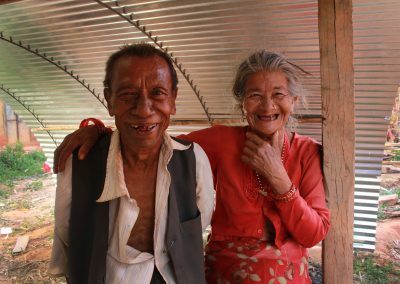 – Housing needs arising from natural disasters and emergency conflicts, including sustainable shelter and housing solutions. – Education, training and partnership solutions to those in need of our relief services. – Expertise in technical information, program design and implementation, and disaster response policies, protocols and procedures. – Preventative support and information for disaster-prone areas. – Year-round preparedness efforts to ensure we are ready when something happens. – The most basic needs become both scarce and dire in the event of an emergency: health, water, shelter, sanitation, livelihoods, safety and education, among others. We believe that safe, reliable shelter provides the foundation from which all of these things can begin to reemerge during the relief and rebuilding process. Therefore, within our Disaster Response program, we have instituted the Pathways to Permanence strategy. This blueprint allows us to guide individuals and families through the necessary steps in taking back more control of their living situation following a tragedy, including erecting an emergency shelter, accessing or affirming land rights, improving a transitional shelter solution, defining next steps for a disaster damaged house or expanding a new housing solution. It is also crucial in these emergency situations that various organisations are working together rather than separately. 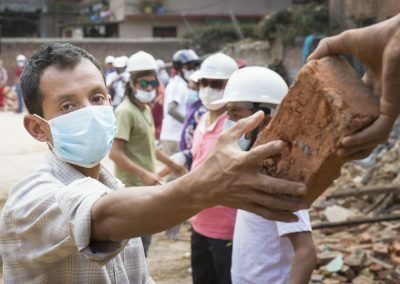 Habitat has over 30 years of experience in community-based development, and takes a partnership approach to disaster response by holding memberships within National Voluntary Organizations Active in Disasters and InterAction, and coordinates globally through The Inter-Agency Standing Committee cluster system. Fortunately, most of us will never experience this kind of aftermath ourselves. However, we need ready and able hands to help us respond when the need arises. Please consider joining us in work that brings stability to displaced people. Through caring and hard-working volunteers and the generosity of donors, we are able to exponentially increase our efforts when it counts the most. Responding after disasters strike is not enough. Recognising this, Habitat for Humanity and affiliated organisations around the world, especially those located in disaster-prone regions, work to reduce vulnerabilities and build community resilience. 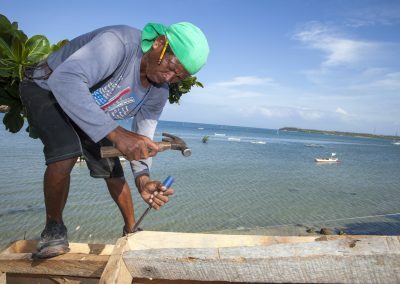 Through the design and implementation of adaptation mechanisms, communities can tackle predictable disasters and better cope with the impact of climate change. Habitat integrates disaster risk reduction initiatives into our shelter, housing and settlement program platforms. In addition, we incorporate high doses of primary stakeholder participation and community-based methodologies. The Hyogo Framework for Action contains the guiding principles for disaster risk reduction. It is now acknowledged worldwide that efforts to reduce disaster risks must be systematically integrated into policies, plans and programmes for sustainable development and poverty reduction. These efforts must be supported through bilateral, regional and international cooperation and partnerships. Building the capacity to reduce risk, sustainable development, poverty reduction, good governance, climate change adaptations and disaster risk reduction are mutually supportive objectives. To meet the challenges ahead, accelerated efforts must be made to build the necessary capacities at the community and national levels to manage and reduce risk. Vulnerability and risk can be influenced and reduced by correct application of relevant standards and building codes. Adaptations to changing climatic conditions can also be incorporated in the design of shelter solutions, settlement layout and site development. 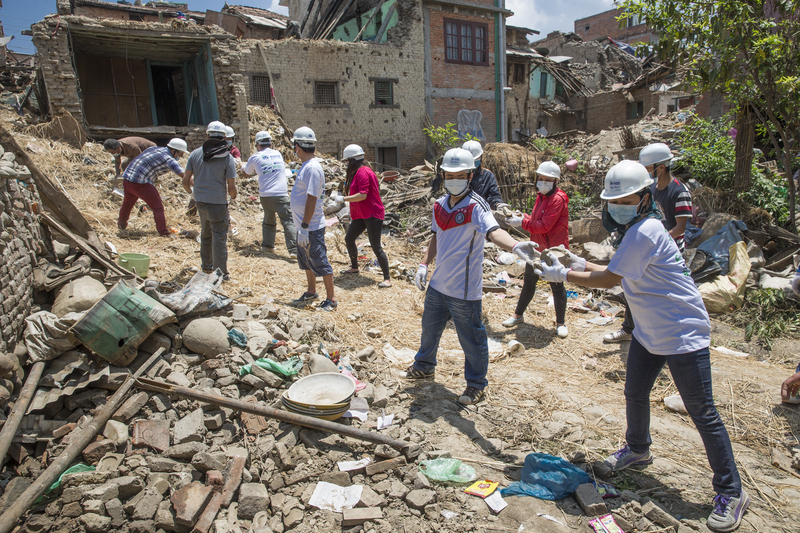 Habitat organisations located in countries where recurring, cyclical hazards are present have learned to integrate mitigation elements into project design. These elements combine proper land use, holistic site selection, appropriate technology and culturally sensitive materials and construction practices to new housing or retrofit and repair projects. These design elements make houses more resilient to disasters and climate change. As required by Habitat’s regular selection process, families are required to make a commitment to contribute to construction-related activities and to attend compulsory training on housing-related topics. In many locations, disaster preparedness is included as part of the training requirements. Disaster preparedness addresses local hazards, protection during a disaster event, contact channels with relevant authorities, early warning mechanisms and evacuation procedures, etc. Take-home materials with disaster preparedness and contact information are also produced and distributed to communities and families by local Habitat affiliates. With the assistance of peer organisations such as Red R (India), Habitat for Humanity has developed a number of methodologies to facilitate vulnerability assessment and risk management at the community level. 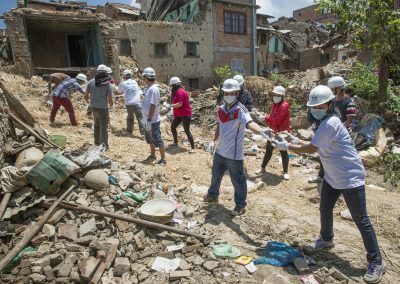 An increasing number of Habitat organisations have incorporated the implementation of this programme methodology in vulnerable communities located in areas where disasters are “predictable”. The methodologies actively involve various community groups in the identification of hazards, vulnerabilities, assets, resources and capacities present in their communities. These groups help to devise risk management plans that may encompass early warning systems, evacuation plans and attention to vulnerable groups. They also help to identify community projects that contribute to disaster mitigation and risk reduction. The plan is administered and maintained by an elected community task force and support is provided by Habitat to build organisational capacity.